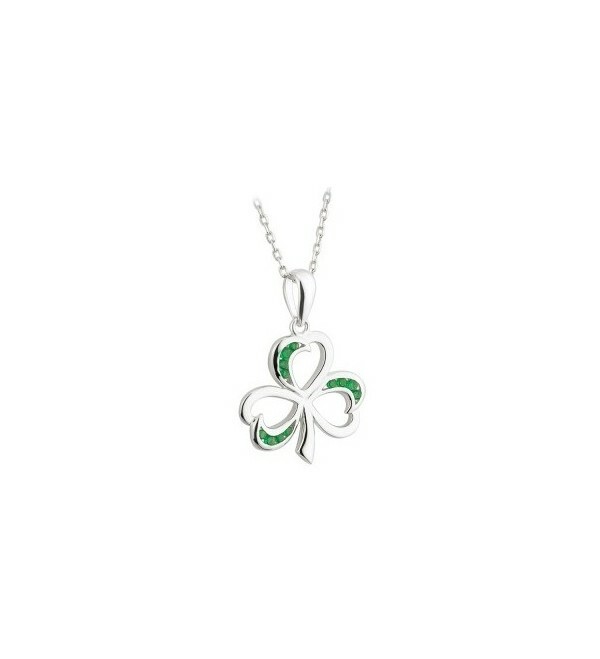 Solvar of Ireland sterling silver shamrock pendant with green crystal inlays. 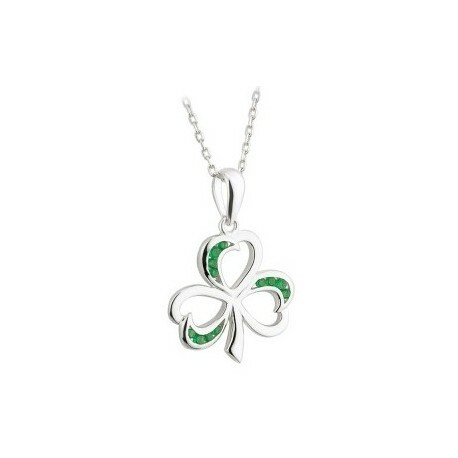 Solvar of Ireland sterling silver shamrock pendant with green crystal inlays. Includes 18 inch silver chain. Hallmarked in Ireland.